"Jericho was conquered not by humanity’s words but by their absence." Psalm 91 has amazing promises of provision and safety - and the requirements for accessing these blessings in full. 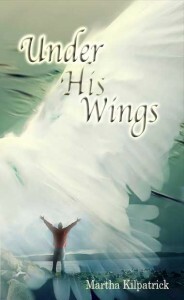 Come under His wings today! This is a statement of chosen faith. It is not a witness spoken to another human, but a decision declared to GOD that He is the deliberate choice of where I place my need and my reliance. To enter the “shelter” is by faith and much of the work of faith is simply choice. Decision professed to God is a seal that evokes His covering nearness.